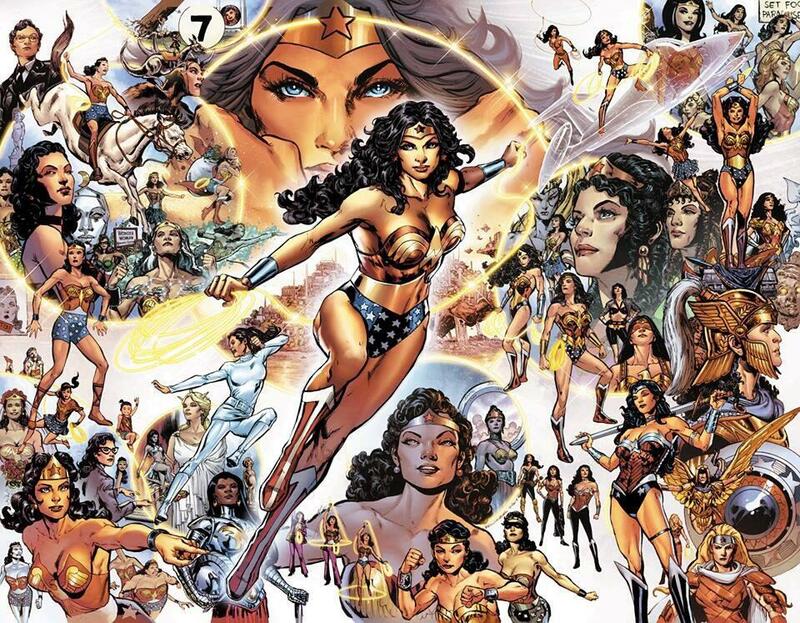 Wonder Woman is Bisexual – Good or Bad? First of all before I start this I wanna create a specific standard. I wanna make sure people know where I am coming from and definitely voice your opinion below. So what is my standard? I will be referring to this in a way where it doesn’t matter if you’re anti or pro LGBT. I will write this out in a way where all people can sit and listen. Now that my standard is set-up let’s get into it. First of all let’s get one thing straight. Just because someone lives in a society composed only of women, won’t mean a person is gay or bi. It’s called genes and people are born gay/bi. They don’t ‘choose to part of the LGBT community’ because if they do then they are not truly gay/les/bi/etc. It’s a ridiculous explanation, one that does not justify such explanation on such a huge claim. He also said how can “ALL” of them not be romantically/sexually involved with one another which is something very dumb to say. Newsflash, not every person is trying to get laid. It’s also important to note LGBT are a smaller chunk of every society so, why would this be different? A great example of this is actually my favorite comic called Y: The Last Man which just shows that all women wouldn’t be falling into each other’s arms if there were no men. Yes, the character does embody the idea of love, but so do many comic book characters. Heck, many fictional characters do so, does that mean they’re all gay? If so give me an answer in the comments if you can think of one. Let’s not pretend there is something that everyone can agree on in Diana’s history which would definitely make her gay or bi in this case. She does care about her sisters because they’re her ‘sisters’. One big family. It’s not part of Wonder Woman’s history! She has shown no confident signs of actually being in a relationship with another woman. Like I said earlier this isn’t even about being ANTI-LGBT or PRO. Saying, “Oh, that one time in history she did this which seems like she’s partly bi” isn’t concrete enough. This is about being inconsistent with who the character is, but maybe that wouldn’t be so unfitting for the Amazon Princess as the character has struggled with consistency if it’s talking about her beliefs, powers, origins, or even her usage as a symbol (read GRAPHIC MYTHOLOGY: A FALSE FEMINISM to see what I mean)? Just shows how much of a mess this character has been despite the popularity. 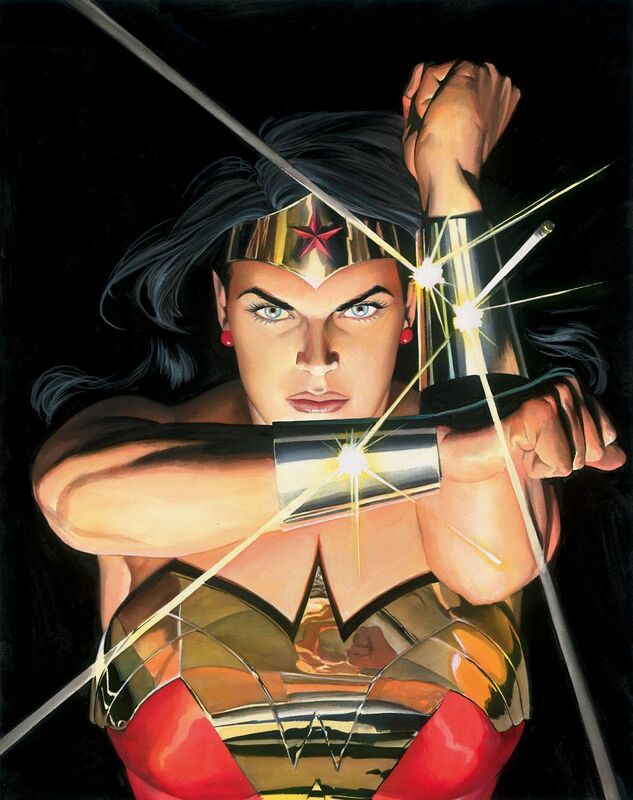 But now the ultimate question…..
Is Wonder Woman’s Bi Identity a Good Thing or a Bad Thing? The short answer to this question is very simple, but not the long answer. This looks like another move from DC to pander the SJW crowd of people. It is very sad to see DC not care for the fans who have been there since the beginning. I mean what else can you call it? DC trying to do what Marvel is doing. They have been lately interested in giving characters qualities they have never had. Iceman, Aqualad, and Wonder Woman are all victims to this and I am really just talking from the top of my head here. Not even mentioning the race, personality and status quo changes for many other characters. If this will be true it’s time to take a pause from DC and Marvel comics. It’s really time to look at other stories from Image, Valiant, Dark Horse, etc. that are way more acclaimed which I’ve been missing out on. I put up too much with this. Marvel and DC, you wanna make a real contribution in comics, create a new character (or use one that already exists) and push them to be your LGBT icon (Win-win scenario). This is just one of the reasons why modern ‘bluckbuster’ comics aren’t as good as their film counterparts. Films put substance over matter unlike the modern popular comics they originate from (exceptions do exist if it’s BvS, Wolverine: Origins, etc.). You wanna make changes like these in other people’s expenses go ahead. It’s your character do what you wanna. Don’t expect me to stick around for the ride. Give me your thoughts, do you agree, disagree? Try being respectful especially how so many people get so emotional about this nonsense. I won’t overreact because this is just a fictional character so I’ll just won’t support the direction DC and Marvel are taking. You shouldn’t overreact either. Best vote is your money so keep that in mind next time you wanna buy a comic. I really don’t understand why they need to do this. Why can’t we just create new and interesting characters that have these attributes? I don’t care what race he is, Bishop is boss! Forge? Awesome! There you go, two minority characters that weren’t originally something else. AWESOME! Instead you want to mess with timeless characters… and expect their traditional fans not to get pissed off? This is why I don’t buy much in the way of modern Marvel or DC. I stick to Indie or old school. Definitely agree with you. I will be bound to read your Marvel posts as I am also aware of their acts. I’ll be prepared to call the ambulance just in case of that cardiac. You might have kicked a hornet’s nest, but this is a thought-provoking post. My opinion as a writer is this: Honor the integrity of the character, and don’t change it with every societal trend that comes along. This touches on a much larger issue in comics as well. By this, I mean that I favor the creation of new characters rather than this endless re-booting of old ones. Writers of graphic novels, PLEASE invent new characters and new stories! Thank you! I am glad you stand on me with this. I made the decision to stop reading it with issue #2, when Rucka started his narrative on this topic. When he confirmed it in the interview, I stopped reading all the Rebirth titles (I had only just returned to) altogether. 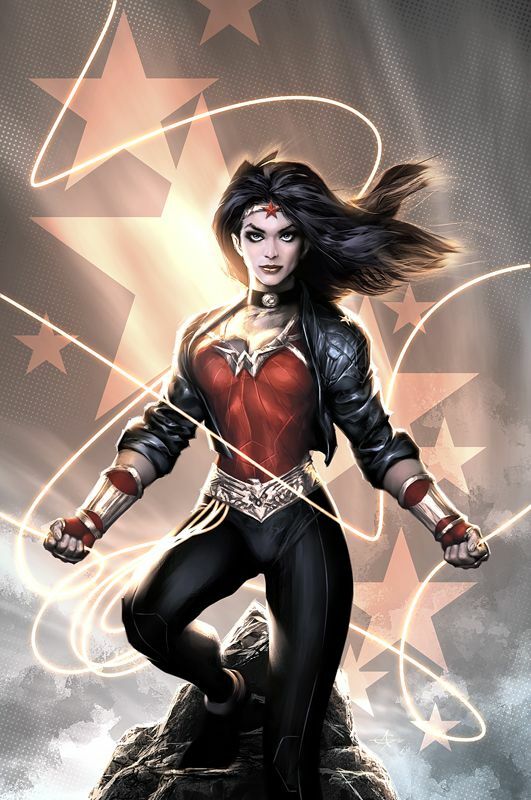 The appeal of Rebirth was returning characters to their pre-Flashpoint status. Not altering them further. None for me thanks. Tired of the pc drivel, and SJW pandering. Sales will uptick for awhile, Then fall. Without my dollars. I am not going to invest in a story line and a character only to have the “surprise change” sprung on me at issue 50, Done. You said it best and although I didn’t stop reading the entire DC Rebirth line I did stop with WW. I don’t wanna support characters with attributes that shouldn’t exist today. But if DC does this stunt again….Oh boy! And I’m a bit worried because I know they will. I am bisexual and it’s irrelevant. The LGBT bisexuals are not all of us nor do they speak for us. I am a big fan of Xena, a bisexual character and they are rebooting with her as a lesbian. I am ashamed that we’re turning into a big joke and in the late 90s, we were more attractive and didn’t care who liked us or not.